Receptions and live music nightly! This year’s festival will include a 50/50 parity of male and female playwrights and runs Sunday, July 3Oth through Sunday, August 6th at The Road on Lankershim, in the Historic Lankershim Arts Center in North Hollywood at 5108 Lankershim Blvd, North Hollywood and at The Road on Magnolia at 10747 Magnolia Blvd, North Hollywood at the NoHo Arts Colony! We will feature spotlights on all the playwrights of full length plays over the next few weeks. This week the spotlight shines on Scooter Pietsch, author of the full-length play Pursuit*. What is your familiarity with The Road and the Playwrights Festival? If you have been here before how would you rate your experience? If not, why did you choose to bring your play here? Have you seen work produced here? This is my 7th year participating in the festival so I’m pretty familiar with it. From the very beginning, the festival has been a fantastic opportunity to try my newest stuff in front of an audience. It’s also a great “deadline” for me. My goal is to always have something new each year for the festival and I’ve only missed one so far. In my defense, I actually did write a new play that year but was unable to fit a reading of it into my schedule! What is your process for writing and rewriting? Anything you care to share here as advice for other playwrights would be welcome. I mull over multiple ideas for months. Slowly through that mulling process I set aside certain ideas until I’m left with the one that excites me the most. Then I run that idea through my head till I have the basic story pretty much all the way through. Then I outline - maybe 10-20 pages, write out my characters, decide on my scenes. Then I start in on page one and write the whole thing. I have to write the whole play before I do any rewrites. I have to know if the idea worked. If my setting and characters worked. Then I start rewriting. I do at least 10 passes from page one. The rewrites can be drastic in places and not much in others. I don’t have any guidelines for that. It seems some sections of plays just require copious amounts of sweat and others flow naturally. Next up is I give it to my “team” of readers. I have about 6 people whose opinions I trust and rely on. Once I receive their feedback I start rewriting again. This is probably another 10 passes through the whole play. Then I do what I call my “polish” passes. I work on each character one by one, read only one character’s dialog, get really picky about stage directions, and if it’s a comedy I write alternate funny scenes in case something last minute at rehearsal ain’t that funny. And then we do a reading. And then I make notes and start rewriting the next morning. And it never ends. What is the value of having your work done here at The Road in California? What are your expectations and hopes for your play for the future? It’s so great to hear your new work read for the first time. And ALL of my plays have been read first at The Road. So I feel comfortable there. The spaces are terrific and inviting. I would feel weird doing a first reading someplace else! As for the future of this play… if it ends up like the others I will probably do another 5 readings at various theaters across the country. Hopefully a producer will come on board and take it around, pitching it for production at various places. This one already has some interest based on the idea so maybe something will happen??? I don’t really worry too much about that. All I can do is write it. Somebody else has to decide to put it up. Remember: The Road on Lankershim is located in the Historic Lankershim Arts Center in North Hollywood at 5108 Lankershim Blvd, North Hollywood and The Road on Magnolia at 10747 Magnolia Blvd, North Hollywood at the NoHo Arts Colony! There is street parking available in both locations, but come early, at least a half hour before curtain. Because SPF8 is a fundraiser, tickets are by donation only and are only available at the door! Suggested donation for a single performance is $15 –or this year, try a weeklong festival pass for the suggested donation of $50! *To be read Saturday, August 5 at 8 pm at Magnolia. We will feature spotlights on all the playwrights of full length plays over the next few weeks. 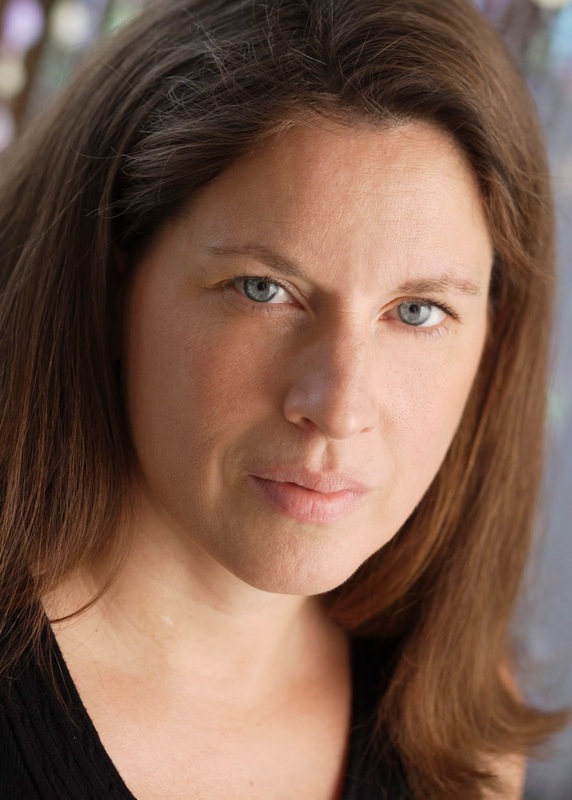 This week the spotlight shines on Donna Hoke, author of the full-length play Elevator Girl*. I'm aware of the Road's stellar reputation, but, living on the opposite coast, I've not seen work produced there. LA actor friends have made me aware of it, and I've been submitting to it for several years, so I'm thrilled to have a play in the Festival, and excited to come out and see it for myself. The basic process for both is the same: sit down and start. You'd think we all hate writing the way we all procrastinate! But once I'm in it, it often astonishes me how much I love it. It's whatever drug I need--narcotic, stimulant, anti-depressant, hallucinogen--and works better than any of them without harmful side effects. 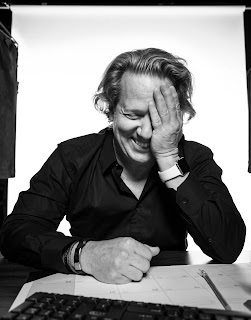 For me, words are like a giant box of Lego; it's ridiculously fun to play with them, and, even with the same blocks, there are infinite ways to create something brand new so I never get bored. That doesn't say much about process, I'm afraid, except that it all has to start from a love of writing. I get to come to California! I'm excited to meet the Road team, as well as other playwrights, many of whose names I've heard, but have never met in person--so common in the era of social media. I'm excited to hear the play out loud, and hear how it lands with other people--the true test of how a play is working. And I hope this reading helps to give it further life, whatever shape that may take. Benjamin, "BeBe" Winans, six-time Grammy Award winner, is the seventh child and youngest male of the the Detroit based first family of gospel music. BeBe is known as an inspirational, R&B, and popular vocalist, songwriter, and producer as well as an Executive Music Producer for the OWN Network’s latest scripted series, “Greenleaf”; host of his own radio show on the Heart & Soul Channel (68) on Sirius/XM Radio Networks on Sunday Mornings (9am ET/7am PT); renowned as the breakthrough artist to bridge the language of his roots in the church with a chart-topping, Award-winning career spanning audiences universally throughout all genres; author; Actor in motion pictures including friend Denzel Washington’s,‘The Manchurian Candidate’; and star of productions like Broadway’s Oprah Winfrey Presents The Color Purple with Chaka Khan amongst his credits. Teaming with his younger sister, Priscilla “CeCe”, the duo first began crossing lines as “adopted children” of Jim and Tammy Faye Bakker on the PTL television show. Their first tour, on which Whitney Houston proclaimed herself their “sister” and sang background for the siblings, set the tone for a very special career. 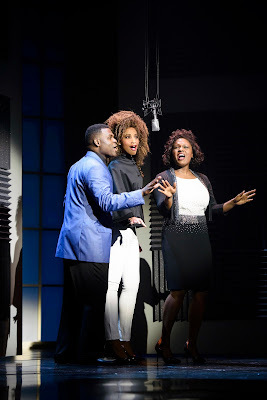 For an artist with his message and core based in the church and its word, BeBe Winans has faced an exciting and unique career which in 2017, comes to life as a musical of his life, co-written and Directed by Motown:The Musical Director, Charles Randolph-Wright with book, music and lyrics by BeBe -- Born For This: The BeBe Winans Story. It will open at the Broad Stage in Santa Monica July 11. Born For This:The BeBe Winans Story is populated with original music and Winans’ family hits. CeCe is played by niece, Deborah Joy Winans, who is currently filming "Greenleaf," the OWN Original TV series. 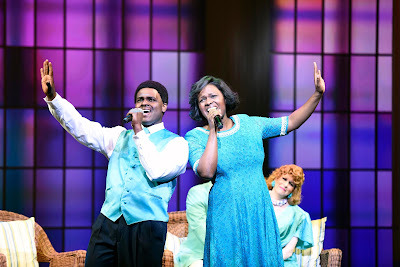 Nephew, Juan Winans, portrays BeBe. BeBe sat down during his busy schedule and talked briefly with us about the show and his illustrious career. Talk about PTL and how it changed the lives of both you and CeCe. PTL was the place where CeCe and I became independent…far away from our family, friends and what we knew as security. And where we became a duet. This inspired the musical Born For This. How long did it take to write the musical? How long did it take to finally get it produced? Born for This has been a ten year journey and honestly it's still being written. Or should I say still evolving. It really is a family celebration, as your niece and nephew are playing you and CeCe in the show. How did this decision come about? Well, my niece Deborah Joy was always destined to be an actress from birth and we fueled her passion. And after she graduated with her degree in theater it happened to be the same time Charles (Randolph-Wright) and I started building a cast for discovering this piece, a perfect storm and then Juan came a little later in the process. Is the Broad the very first public presentation of the show? Are you planning a tour with the hope of ending up on Broadway? The Broad is the third presenting house. 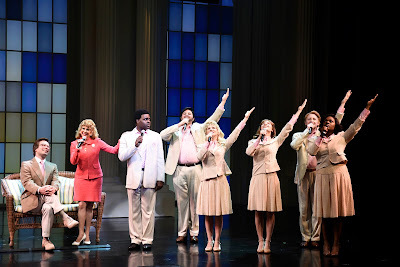 We opened in 2016 in Atlanta first at the Alliance and then in D.C. At the Arena Stage. As we march to Broadway!!!! I love the universality of 'never giving up' and young people today really need this kind of inspiration. How do you feel about the changes in music over the years? Are you happy with new music today or do you look to the past to your gospel roots to get that good musical feeling? It is in so important to me to always encourage young artists to dream God's dream for their lives and although the styles have changed the messages are still most important. Talk about Metro World Child and your involvement in it. Metro Child is an awesome organization that brings hope to children who are often forgotten. So I'm proud to shine the spotlight on them. 1310 11th St. Santa Monica. Limited free parking is available. In Person: Box office at 1310 11th St. Santa Monica, beginning three hours prior to performance. Bruce Kimmel wrote, directed and starred in the cult movie hit, “The First Nudie Musical.” He also co-created the story for the hit film, “The Faculty,” directed by Robert Rodriguez. As an actor, Mr. Kimmel guest-starred on most of the long-running television shows of the 1970s. 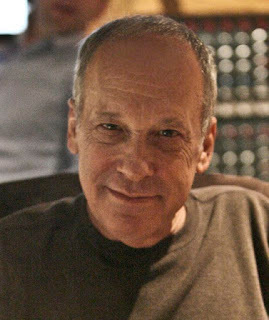 Mr. Kimmel is a legendary Grammy-nominated producer of theatre music on CD, having produced over 180 albums. Most recently he has directed the shows L.A. Now and Then, Hit Song, The Musical, Welcome to My World, Li’l Abner, and Inside Out. Mr. Kimmel is the author of seventeen books, many musicals, and is an award-winning songwriter. Bruce Kimmel serves as director on the Group Rep’s upcoming production of Frederick Knott’s mystery thriller Dial “M” for Murder which opens on the Main Stage, June 30th, at the Lonny Chapman Theatre in North Hollywood at the edge of the NoHo Arts District. When and how did you first get bit by the theater bug? I always wanted to be an actor, as far back as I can remember. When I was twelve I began going to the theater – just went off on my own and saw the matinee of Paddy Chayefsky’s The Tenth Man at the Huntington Hartford Theater here in LA – I’m a native. That began it all – it was magical and I went to see just about every tour that played there – wonderful plays with wonderful actors. My first musical was the tour of The Unsinkable Molly Brown, which played the old Biltmore Theater downtown with its original stars, Tammy Grimes and Harve Presnell. That, of course, changed my life. When did you start directing and which project drew your attention? I always enjoyed being in charge, even when I was a kid. I put on shows for our Monday night family dinners – I was the star, the director, the writer – kind of my own version of “The Ed Sullivan Show.” I directed stuff when I was a teen – a musical revue we had the chutzpah to produce, and a production of Jan de Hartog’s The Fourposter – I’m sure they were dreadful. In college (Los Angeles City College) I directed some shows I wrote in their small upstairs theater. From then on, I directed pretty regularly in LA, but mostly my own musicals. I don’t know that I’d call them mentors, but I was like a sponge when I was an actor – if the director was good I would watch how he/she did what they did and learned from it. But from an early age I learned by watching the master directors of my generation – folks like Mike Nichols, Gower Champion, Bob Fosse, Alan Schneider – I watched how they’d pace shows, how they’d make everything seamless, and I just sopped it all up. You’re very involved in the writing, directing and producing of musicals and plays. A parent doesn’t usually admit to a ‘favorite child’…do you have a project past or present that might be your favorite (or are most proud of)? I do love musicals. Of my own shows, I’m fond of The Brain from Planet X and Stages. Of traditional musicals I’ve directed, nothing tickled me more than doing one of my bucket list shows, Li’l Abner – I had my way with it and the audiences and critics loved it, which was the icing on the cake. And I did enjoy doing Doug Haverty and Adryan Russ’s Inside Out, because it was a real challenge – and Doug is, of course, how I got to know Group Rep.
What was the genesis of the monthly concert series Kritzerland and who might enjoy the event? Back in 1993 I made a life change and became a record producer – I found a lot of success right away doing that – two Grammy nominations in my first year and producing over 180 albums so far. Back in 2010 I thought it would be fun to do a cabaret series based on the albums I’d done. That was the genesis. So, we began doing it once a month and much to my surprise it was kind of wildly successful – we came up with a formula people loved and here we are just about to have our seventh anniversary and our 80th show – the longest-running cabaret show in LA history. How did directing this production of DIAL “M” FOR MURDER come about? What intrigues you about the mystery thriller genre (as it relates to the stage)? I love the genre, always have. In days of old, I especially loved what I called the civilized thriller, of which Dial ‘M’ for Murder is the classic example – all those lovely people having sophisticated conversation, drinking cocktails, all the while underneath the surface plotting such deliciously devious things. I also loved Mr. Knott’s Wait Until Dark and then of course Sleuth and Deathtrap are masterpieces. It’s very hard to pull off, but when it’s done well, there’s nothing quite like it. Back in 2007 I wrote my one and only mystery thriller play (I’ve written many mystery novels), called Deceit, which had a nice run at the El Portal Theatre. First done in London in the early 1950s, then on Broadway and, of course, turned into a wonderful film by director Alfred Hitchcock – originally shot in 3-D but never shown that way back then, although it has been several times since. Our production, by the way, will be in 3-D. I could tell you about the play but then I’d have to kill you. That’s how it is with mystery thrillers – part of the fun is not knowing too much. Is there something you want audience members to experience having seen the production? I’m hoping it will be fun for audiences to travel back to the 1950s when people in plays dressed well, spoke well, and occasionally murdered people in clever ways. I hope it will be fun to revisit a really well built play and revel in the kind of dialogue no one really knows how to write anymore. Is there anything about you or the production that you want us to know or wish we had asked? I could tell you, but then I’d have to kill you. All you need to know about me is that I am blessed to be able to do what I love, whether it be directing an old-fashioned and delightful thriller, directing a musical, whether old or new, writing a novel, doing a cabaret evening, and producing CDs. The Group Rep’s production of Frederick Knott’s Dial “M” for Murder directed by Bruce Kimmel, produced by Mannette Antill and LizAnne Keigley, runs Fridays & Saturdays at 8:00 pm; Sundays at 2:00 pm. June 30 – August 19. Tickets: $25. Students/Seniors with ID: $20. Groups 10+: $15. For tickets: www.thegrouprep.com or info@thegrouprep.com. Reservations Line: (818) 763-5990. Lonny Chapman Theatre, 10900 Burbank Boulevard, North Hollywood 91601.